About a decade before the 90's cigar boom in the United States, a new, inexpensive cigar debuted in stores around the country, sold under the brand "Backwoods," it quietly generated a lot of interest. Backwoods Cigar labels claimed a link to a lost time when men who wanted a cigar simply rolled their own. It was (and still is), a short, soft, rustic cigar with a bushy foot and a mild flavor. Backwoods Cigars quickly became a favorite with regular and occasional cigar smokers alike, and soon no fishing trip or poker night seemed complete without a few rumply Backwoods pouches in the mix. Looked down upon by the premium cigar crowd, Backwoods actually represented an improvement in American mass-market cigar quality in that it offered an all-tobacco cigar at a time when most of the inexpensive brands had gone to homogenized wrappers and binders. Despite its looks and low price, Backwoods was a step-up that gave many Americans their first taste of a real "all natural tobacco" cigar. Though I seriously doubt there was ever a time when the majority of Americans rolled their own cigars, Backwoods and its brethren do seem to have some claim on history, the Cigar History Museum describes something called the "American Cigar ... (Early 19th century term) Cigars made without binder from Virginia tobacco, thought to be sweeter and lighter than those made from Cuban tobacco or Cuban strains grown in the Northern US." Sounds American to me. Indeed, American tastes are often misunderstood as too bland, but America is all about quantity. This is the land of Big Gulps, 20 packs of beer, ultra-light cigarettes, and the "bottomless cup of coffee." Sure, we could drink stronger beer and knock back tiny cups of espresso, but then what would we consume the rest of the day? Americans are constantly in motion, constantly moving and driving and eating and drinking and smoking and etc. Who wants to smoke just one cigar a day? It's downright un-American. Like a spaghetti western, these are truly American cigars - none of them are made here either, but in an odd way, they seem to catch the spirit of the place. They are also cousins to the stogie and cheroot, which like the American, are traditionally rolled without a binder - just wrapper and filler. According to Altadis, "Backwoods is the number one selling all natural cigar in the world," and that success has spawned a number of competitors. How are they? I tried three brands. The original Backwoods is the smallest of the three (4 1/8 x 27), and tastes like a mild cigar should - mild, but not so mild as to be flavorless. One could easily (and happily) go through a pack of these a day. 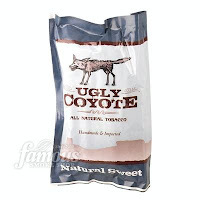 Ugly Coyote cigars (available through Famous Smoke Shop), are a little larger (4 1/4 x 32) than Backwoods, and consisting of Honduran and Nicaraguan tobaccos, a little stronger as well, though still on the light side. They are a little sweet too. All three come in a variety of flavors, though for this post, I only reference the "Original" or unflavored varieties. They all, of course, have the signature "bushy foot," which people find to be either amusing, "manly," or irritating. I have mixed feelings on the subject, but when I don't want to fool with the foot, I simply clip it off with a cigar cutter. So, which one wins this shootout? Stonewood is definitely "the Bad." 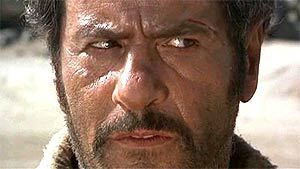 Which leaves us, just like the movie, with the Good and the Ugly, and just like the movie, I think you'll enjoy them both. I enjoy Backwoods from time to time (the original and the Sweet Aromatic). The Ugly Coyote brand was far too sweet for my tastes. As for the Clint Eastwood cigars, weren't those Tuscani-style, Italian made cigars (much like their American-made Parodi counterparts)? I thought they were Toscano cigars too, until I read the interview. My guess would be Marsh Wheelings, but I'm no expert on what was for sale in 1964. I haven't tried Bandidos yet, but I'm sure I will. The price sure is temting. I tried the Swisher Sweet Outlaws the other day. They are the best (or worst) of both worlds, having a larger size and sweetened tip like the Ugly Coyote, but tobacco tasting similar to the Backwoods. The price on Backwoods just started getting out of hand. The price (in Arizona anyway) was getting to be 8 - 9 dollars for a pack of 8. Well, then they dropped the price pack down to six bucks, but a pack now has 5 cigars. The Uglys are about 5 and a quarter for 8, and you get a slightly larger smoke - the flavor is better too, and I like the sweeter thing that others are mentioning as a problem. I just wish I could buy them locally and didn't have to mail order. However, the company that sells them has never given me a reason to complain about their service. If you get a chance to try out the Rustlers cigars they're a lot like the backwoods and a lot cheaper. I've been smoking Backwoods for 22 years now.And now I'm going to try the Ugly Coyote's out cause they're half the price as Backwoods.